Composting is like a kid’s science project – it’s really not that complicated once you read the directions and understand the steps involved. You don’t have to be a genius to get it done and you don’t need acres of property to compost your food waste. 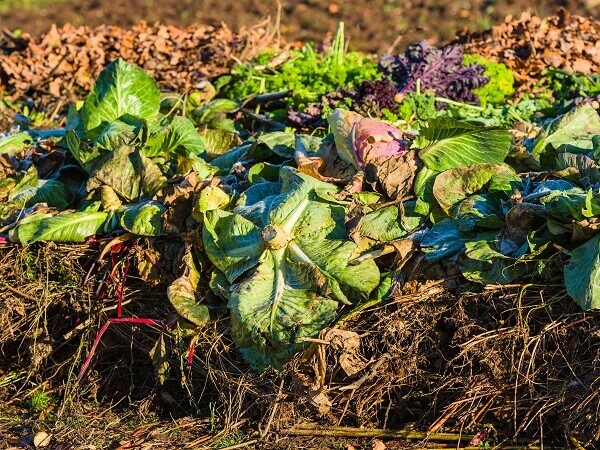 Below you’ll find everything you need to know to create your first ever compost pile without getting totally overwhelmed! To put it simply, composting is the act of recycling biodegradable waste, like food and organic materials, in your backyard. When done correctly, you can reduce your carbon footprint and create a material that is actually useful around your property. Compost is the product that you get out of composting – a material that you can as fertilizer in the garden, as feed for your chickens, and to build up the soil structure on your property. 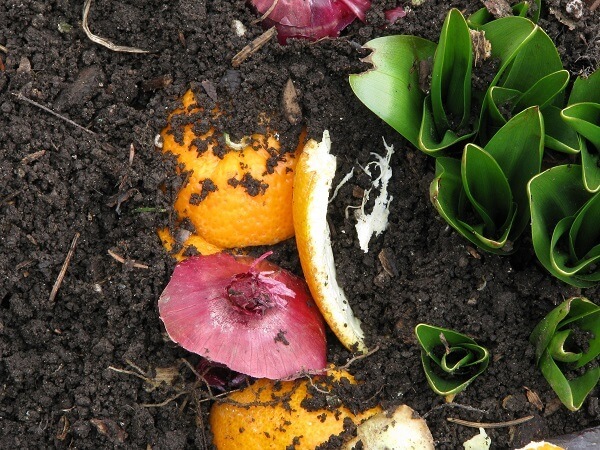 When you compost, organic materials and waste products decompose in your compost pile. When given enough space and oxygen for a healthy composting process, bacteria and microorganisms break down each product into a soft soil or pulp. This process is known as chemical decomposition. In chemical decomposition, there are two composting bacteria involved: aerobic bacteria and anaerobic bacteria. These guys come in the millions and grow quickly. We actually want our compost pile to be more aerobic than anaerobic and we do that by making sure our pile has enough oxygen. Without enough oxygen, you’ll get too many anaerobic bacteria that produce smelly, harmful gases like methane and won’t provide a functional compositing process. This is why landfills are so smelly and why properly maintained compost piles are ideal! You’ll build your compost pile with a balance of brown material for nitrogen and green material for carbon. When the right conditions are met, these materials will decompose as your bacteria heats up. Really! Your compost will actually be warm to the touch. Once temperatures rise, your microbe decomposers have the perfect environment to work. They eat up the solid material and decompose it slowly over a period of three months, producing a nutrient-rich soil. Three months sounds like a long time to wait, but the benefits are definitely worth it. As mentioned above, the primary benefit of composting is the compost itself, a product that is rich in nutrients to feed/fertilize our plants and soil. When it comes to yard care, we were taught to use factory-made fertilizers for optimal results. But did you know that most fertilizers, even the organic ones, are actually pollutants that affect water quality and retention? Manufactured fertilizers contain nutrients like nitrogen and phosphorus that can actually seep into our underground water systems and even reach larger bodies of water, degrading the water quality that, in turn, poisons animals and the environment. With composting, on the other hand, you’re basically removing the need for manufactured fertilizers. Compost is gentle while effective, making your soil more stable with less water evaporation and more food for your plants! Adding a layer of homemade compost naturally gives your soil the nutrients it needs without harmful levels of phosphorus and with healthy levels of nitrogen. The secondary benefit of composting is the power to reduce your carbon footprint. Studies show that at least 20% of landfill content is purely food waste. Instead of recycling this food waste, it is left to rot in landfills while emitting methane – a greenhouse gas 25 times more toxic than carbon dioxide. More than half of what ends up in your garbage is compostable…so why are we throwing it away? If you think that tossing your banana peel in the trash is okay because “it’s biodegradable” you must realize that your banana peel can only biodegrade into the earth given the right environment. In reality, your banana peel will not biodegrade into the earth when placed in a landfill. Instead, it will be mixed into a pile of garbage that will suffocate the banana peel, turning it into a smelly clump of methane-producing slime. You have two options when choosing a composting location: you can either use a compost bin or build a compost pile. Composting needs the right ratio of carbon-rich materials and nitrogen-rich materials (think brown and green materials). Brown materials are the dry materials like tea, coffee beans, bread, dried leaves, hay, wood chips, etc. Green materials are the sort of fresh and moist materials such as fruit and vegetable peels, grass clippings, seaweed, etc. If you add too much green or too much brown, you will stunt your pile! The right ratio matters! Layering your compost pile will determine the speed at which your material can decompose. Now the ratio is a little tricky because there are different schools of thought on the ideal ratio. Some composters prefer 30:1 brown to green. If you have that much brown, go for it. But if you’re dealing with the more common kitchen waste, play by the rule of six inches of brown to two inches of green, or a similar ratio. Pro Tip: Get to know your materials and adjust accordingly. Things like wood chips don’t decompose at the same rate as say, dried leaves, so take that into consideration when layering. All that’s really left now is to let nature take its course, with the occasional help of you, the human. Water and oxygen are the two most important elements needed to get your compost pile up to speed. To assist, you’ll need to regularly water and turn your compost pile. For the water, you simply want to keep the pile moist – just like you would with a potted plant. Don’t water your pile too often because it’ll just rot. For turning, you want to give your compost pile the occasional stir to allow the carbon and nitrogen to work together. You want to turn or stir your compost pile every three days. If it’s starting to smell foul, give the pile an extra stir. 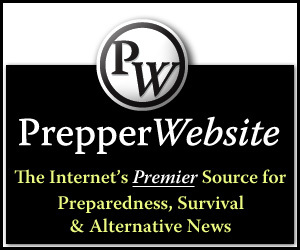 How do you Know When Your Pile is Ready? Just keep tending to your pile until it starts to look like rich, crumbly, dirt and not a pile of old food waste. This material will also be a cooler temperature to the touch. In general, any product that used to be alive or edible can be used in your compost pile. However, there are a few exceptions to the list! Check out these approved and not approved compost materials! After a few months, your compost is finally ready to use! You can add it to your garden at any time and any season. You can use it as mulch and layer it on the soil. This will help the soil stay stable and moist, so no more worrying about the short-term effects of a drought. 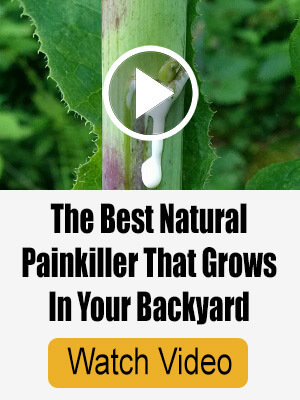 You can add it to your potted plants as fertilizer. You can even start a brand-new garden bed! Just dig under your garden and add around two inches of compost, then cover it again. 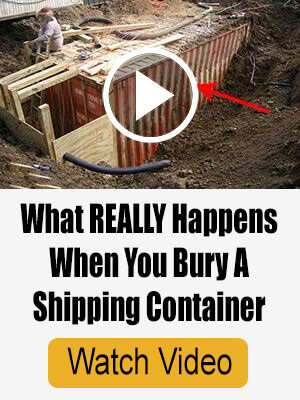 This will give you a good foundation for your future harvests. You can feed it to your chickens. Try composting right in the chicken run. You can toss it out. If you’re composting purely to reduce your carbon footprint, you now have a material that is symbiotic with nature. Go on a weekly walk and spread it around your property without much effort. Now that you understand the basics of composting, it’s time to get started! To help you build your first compost pile, here is a super easy to follow compost tutorial. Imagine if every single person composted – something you can do even in the small confines of a city apartment. We’d have less waste, fewer greenhouse gases, and a lifestyle that was naturally more consumer-responsible and waste-conscious. We’ve run out of excuses and now it’s time to do our part in living a sustainable, waste-free life!